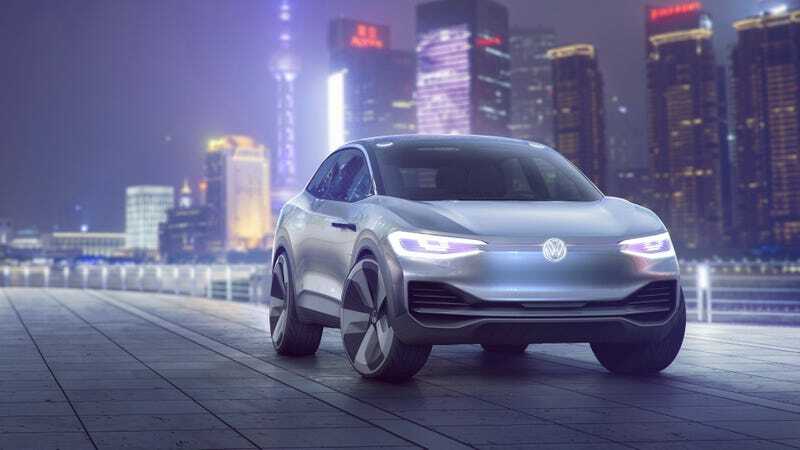 Well, it was bound to happen at some point: Volkswagen’s third addition to its electric concept car family is the I.D. Crozz. Because it’s a crozz-over! Haaaa. Like the I.D. and the I.D. Buzz concepts that came before it, the I.D. 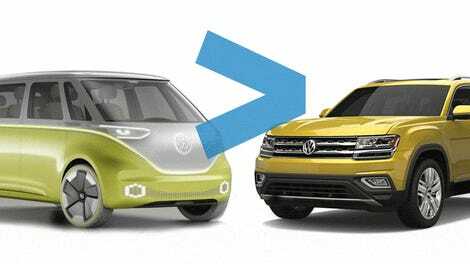 Crozz is also an electric idea that will hopefully wipe away some of that disgusting diesel grime caked to the Volkswagen name. Volkswagen says that the Crozz has an electric all-wheel drive system, 302 horsepower, a top speed of 112 mph and a 311-mile range on one battery charge. Like the other two, it’s supposed to be fully autonomous as well. Which sounds nice, but again, this is a concept. They can say anything they want about it. VW has said that it plans to sell a million EVs by 2025. Production of the Crozz, which supposedly will start in 2020, will help the automaker achieve that figure, probably. Because crossover. It doesn’t look horrible, though. This is latest in an onslaught of electric crossover concepts and production vehicles from Audi, Jaguar, Tesla, Mitsubishi, Nissan and many others. It seems like all the new concepts are electric crossovers these days. Will people buy them? I guess they have to since they’ll be every car some day soon. Get excited.